WHAT bridges the acute hospital with the wider community through the WHAT Centre for Arts and Health and its related programmes and through the annual Well festival of arts and wellbeing. WHAT is housed in a dedicated Centre for Arts and Health in the grounds of University Hospital Waterford. This facility is the first of its kind in Ireland and enables WHAT to bridge its work between the acute hospital setting and the wider community. 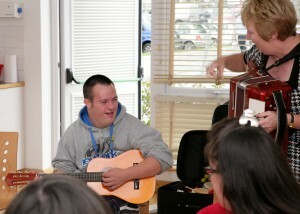 The Centre was developed with funding from the HSE, ACCESS II, and the Arts Council. A multi-use studio which accommodates participatory arts workshops in visual art, dance and movement, drama, music and creative writing. An arts and health library which supports training and research in the field of arts and health in Ireland. An artists’ studio as a base for artists’ residencies. A conservatory as a social space that can be used for meetings and workshops. The administrative base of Waterford Healing Arts Trust. A ‘hot desk’ for sessional staff and volunteers. Spaces within the WHAT Centre are available to rent for meetings, training etc. Contact WHAT@hse.ie for more details. The Open Studio is led by artist Jill Bouchier with the assistance of volunteers Sarah Lee, Julie Dowling and Nicola Chestnutt, and offers participants the chance to work by themselves or with others on customised art projects in a relaxed and accepting environment. 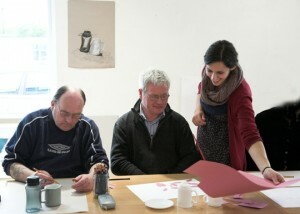 The Open Studio workshop is delivered in blocks of 6–12 weeks and booking is required. The group is currently full, but interested participants can go on a waiting list. Materials are provided and no experience is necessary. For further information, please contact WHAT on 051 842664. 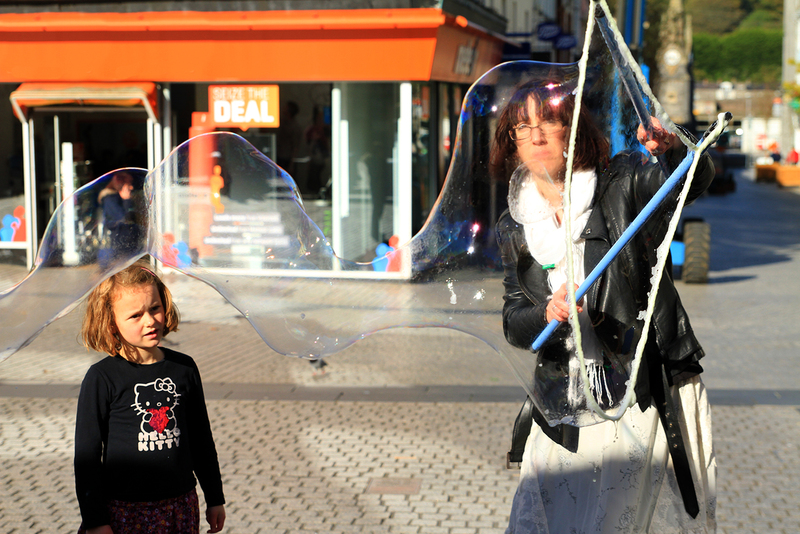 This week-long festival, which links to World Mental Health Day on 10 October, features daily colourful spectacles and arts experiences with a healthy angle in the foyer of University Hospital Waterford. 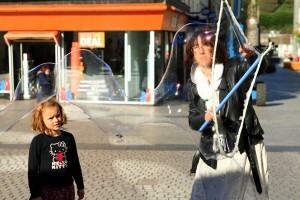 The festival tests different ideas around the relationship between arts and wellbeing. Previous highlights have included an innovative workshop involving GP trainees and architecture students looking at the design of primary care spaces and the impact of these spaces, and The Creative Check Up, a playful exploration of participants’ artistic health; We haven’t had an earthquake lately is a public reading that invites people to share their favourite feel-good poem or piece of prose; And the creative results of Iontas arts and mental health programme and/or the Open Studio are often showcased during the Well festival. 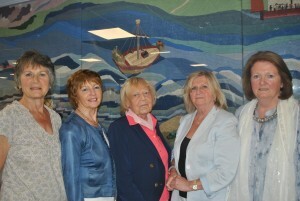 Since 1998, a group of Waterford women have been meeting on a weekly basis in the WHAT Centre for Arts and Health to produce beautiful tapestries for the benefit of patients in University Hospital Waterford and further afield. The first tapestry produced by this group is the ever popular River Story which now hangs in the foyer of the hospital and depicts the history of Waterford since the arrival of King John. This tapestry won second prize at the prestigious RDS National Craft Awards Exhibition in 1997. The group has also produced a series of heraldic shields on silk depicting the regions served by the hospital, tapestries of details from The Book of Kells and a series of tapestries depicting the four seasons. The latest edition to the collection, Waterford Past and Present, is a series of five tapestries that celebrates the iconic landmarks of Waterford city as well as the day-to-day details that make the city the unique place it is. This tapestry, which now hangs in the X-ray department, has taken the group eight years to complete. The full collection of tapestries was launched as an exhibition called Waterford in Stitches in University Hospital Waterford by Norma Smurfit in 2014. The Music Makers comprises 12 participants of Tory Services, a Brothers of Charity group, who come to the WHAT Centre for Arts and Health most weeks to play music in a workshop programme facilitated by Mary Prendergast and Jane O’Brien Moran. Following months of preparation and hard work, the group performs each Easter and Christmas in the foyer of University Hospital Waterford for patients, staff and visitors. In 2014, The Music Makers were thrilled to visit a music studio in Waterford where they recorded their first CD of favourite songs.